Is your house safe enough for your little ones? Children learn from their environment through exploring their surroundings. That makes a child highly curious about all what they see, and thus parental good judgment and guidance is required to help them grow healthy and avoid physical danger that may represent a threat. Most of the common household accidents occur because a misplaced object was left and later reached out by children. To avoid injuries that may be even life threatening, we share some good advice on how to keep households safe for children and little ones. 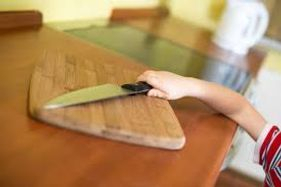 · Kitchen utensils are dangerous, especially knives, plastic bags, keys, can openers, glass items, electric appliances, dish soap and detergents, chemical products and other venomous materials, among others. · In refrigerator, use higher shelves to put food, liquor or medication that should be kept away from children. Never leave an empty freezer or refrigerator where a child can play hide and seek. 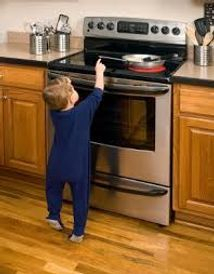 · On the stove, if possible buy the ones with the on/off buttons on the top, not on the front. Use the back rims to cook and when cooking keep pots handle inside the stove and never in an outer form that a child can reach and pull it toward his body. · Never leave a moping container accessible while doing house chores. · Keep drawers with childproof locks. · As the second incidence occurrence in a household, it is absolutely necessary to keep it lock or closed if possible. · Never leave water unattended in the bath tub. · Use bath mats or any other slippery free adhesive mat inside bathtubs. 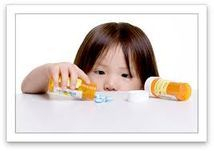 · Keep all medications locked or hidden in higher shelves, if possible in a closet where is more unlikely that your child will reach by itself. · Never leave an unattended child playing in the water. · Do not leave hair dryer, etc connected or close to water faucets. Just keep those in your bedroom or higher shelves in a bathroom closet, locked if possible. · Keep lighters, candles or any other fire causing device very secure. Children see adults lighting scent candles, incense and they are learning that is good, they may try doing it so by themselves causing terrible accidents. · Furniture should be covered and rounded edged if possible, wood painted with non-toxic paint, avoid glass surfaces if possible. · Cribs, high chair, jumpers, and any other child furniture must comply with the federal regulations and read labels, make sure if there is an expiration date involved that you must check on. · Children toys should be appropriate for their ages. · All patio tools must be locked in a garage or patio storage, away from children. · Make sure there are no toxic plants in your patio. · Pool area should be fenced. Never leave children alone. Even good swimmers may blackout due to hot weather and drown. There should always be a fire extinguisher in all households, including your car. Keep car seat updated, take it to the fire department where they will check and certify that it is safe for your child. Protect stairways with child proof fences. Make sure all windows and outside doors are locked and that are not easily unlocked by your little ones.